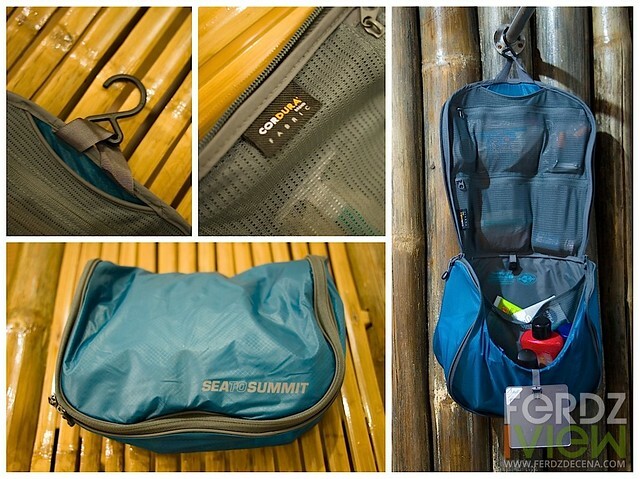 In the Philippines, Sea to Summit brand is mostly known for its quick-dry microfiber towels and sturdy line of dry bags. Well, Sea to Summit has other range of products geared for travel. The Travelling Light series of accessories are light, compact and durable. This is made possible by the tightly-woven Cordura Fabric which is thin yet tough and resistant to light rain. Here are some of the products I have used from the Travelling Light line – the Hanging Toiletry Bag, Laundry Bag and Document Pouch. 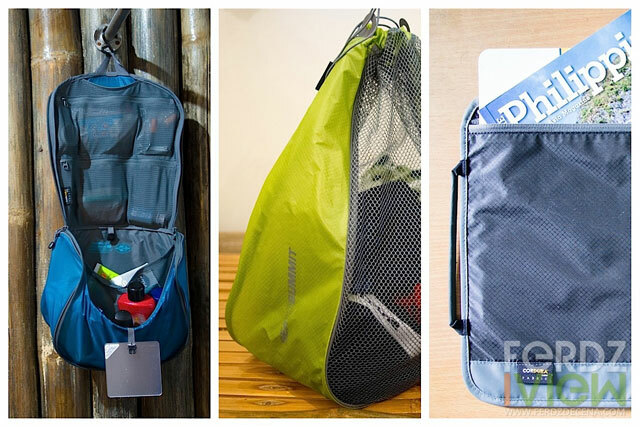 Sea to Summit Hanging Toiletry Bags comes in two sizes – small and large. I got the large one which has two zippered compartment in the flap and a large pocket with a mesh division which could fit regular sized bottles of shampoos, deodorant and other bottled products. There’s also zippered compartment at the rear for easy access items. It’s a very spacious toiletry bag which also comes with a mirror. I was a bit worried on how reliable the thin the Cordura Fabric was but it seems a sturdy one. I like it for being light and flexible, though a little flimsy as items can get clumped together on the main pocket. Now this is something I thought I never needed but is quite convenient to have for organizing my clothes. 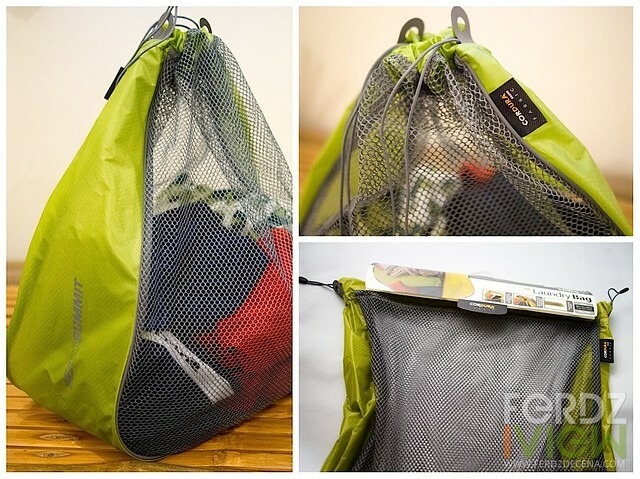 The Sea to Summit Laundry Bag is big enough to handle 3-5 days worth clothes for laundry. I like that it uses mesh on the sides to keep the laundry aired as not to get stuffy. Theres a drawstring as well to keep the bag tight. The Laundry Bag is also flat when collapsed making it easy to pack. Goodbye to regular plastic laundry bags for me. The Sea to Summit Document Pouch makes bringing travel documents like flight itineraries, hotel reservations, brochures, boarding passes or other documents more presentable than a regular plastic container or bulky folders. 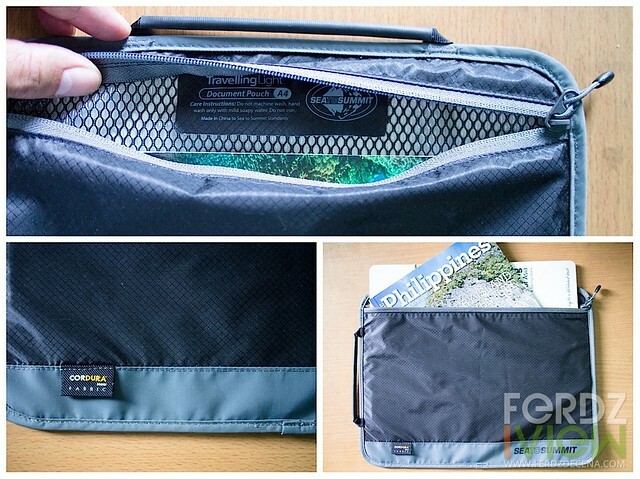 This pouch can handle up to A4-sized documents and keep them dry in this water resistant pouch. It can also fit regular sized magazines too. The integrated handle is useful when I have plenty on my hands especially when checking in. Sea to Summit products are available at R.O.X, Travel Club, and Eddie Bauer.